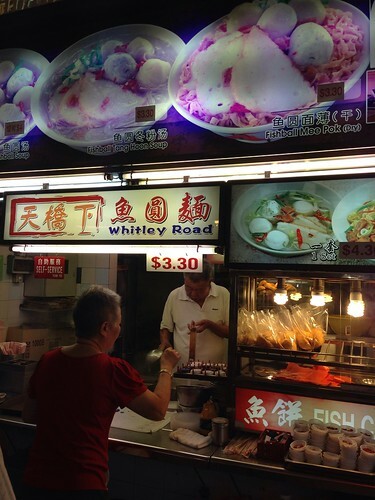 Whitley Road Fishball Noodles used to be one of my favourite fishball noodle stalls. I loved it for its old school flavour with the tastiness of pork lard, nuttiness of browned garlic, spicy chili, savoury seasoning and crisp deep-fried pork lard cubes. Of late, the quality and flavour of the chili sauce has been declining. The flavour of browned garlic bits that used to make their noodles stand out from other stalls has also been reduced so much that it was barely discernible. The noodles were still springy but the chili sauce has become sweeter and less spicy than before. It's starting to taste a little more like the generic factory-produced fishball noodles that many foodcourts dish out. Although it is still rather palatable relative to many other horrible versions at the hawker centres and food courts out there, I find myself craving Whitley Fishball Noodles less and less. Even though the noodles were disappointing, their fishballs, fried fishcake and meatballs were still bouncy and tasty with a generous amount of fish paste used in their preparation. I hope they will use the old recipe instead of the current one for their noodles. If this keeps up or continues to decline, I guess this will be another stall that will be stored in my memory as a stall that I used to love. Try it soon before it gets even worse. I visited Whitley Road Fishball Noodles again today for lunch. I'm very happy to report that they've reverted to their old chili sauce recipe and tastes a lot better than it has for about half a year now. Sadly, they will be moving out of Lavender Food Square when it closes. They will be shifting to a new location but when I asked, the uncle said they haven't found one yet. 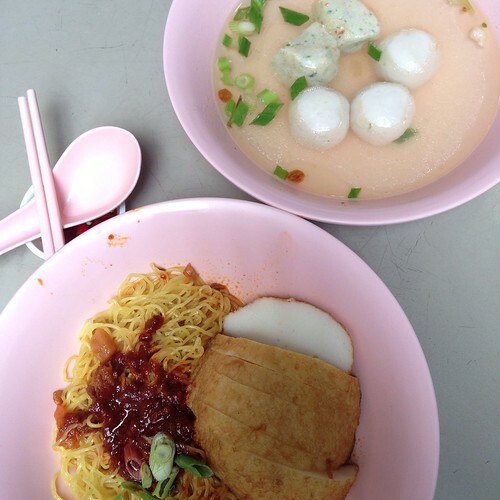 Whitley Road Fishball Noodles will still be in operations at Lavender Food Square till September 2014. Visit them before they have to move as who knows if the chili sauce recipe will be changed for the worse with the move.